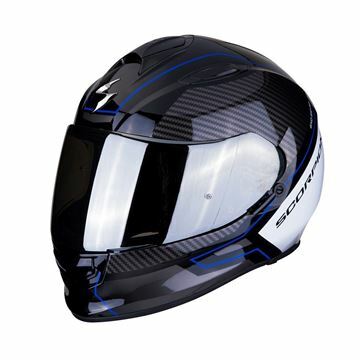 Scorpion EXO 1400 Carbon Air Helmet. TCT® Thermodynamical Composite Technology, Extremely light, the new TCT® structure provides a level of protection as yet unseen in the world of helmets. This smart shell is able to gradually crumple on impact, which allows it to absorb most of the energy generated by the shock, while retaining one of the strongest structures. 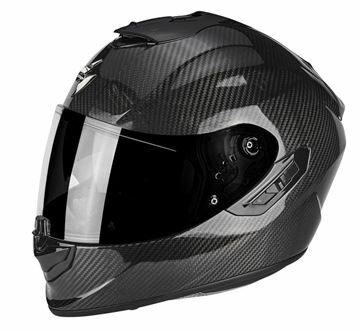 Scorpion EXO 1400 Carbon Esprit Helmet. TCT® Thermodynamical Composite Technology, Extremely light, the new TCT® structure provides a level of protection as yet unseen in the world of helmets. This smart shell is able to gradually crumple on impact, which allows it to absorb most of the energy generated by the shock, while retaining one of the strongest structures. Scorpion EXO 510 Fantasy. This year SCORPION offers you a sensational new helmet: It is derived from the real « success story » that was the EXO-500 … For nearly 5 years the over-equipped EXO-500 AIR of SCORPION’s range went with you everywhere. We now are excited to introduce the new EXO-510 AIR. The aggressive and high octane look will amaze you, it embodies the best of all the technologies like: the KwikWick® II liner, the AirFit® system, a visor equipped with a Lens Pinlock MAXVISION ® as standard and the Speedview® sunvisor treated with our anti- fog technology, the helmet has a real efficient aerodynamic system (for optimum ventilation). 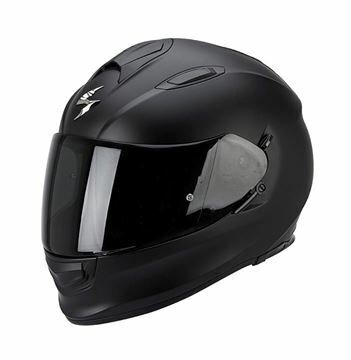 Perfect for daily users as well as seasonal ones and the adventurers, the EXO-510 AIR is the best quality and has the most features in a helmet you can buy for the money ! 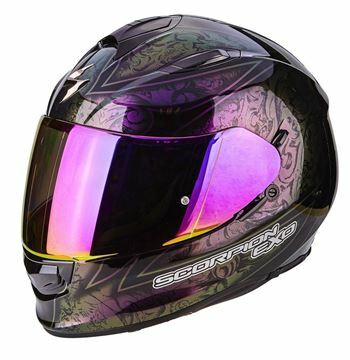 Scorpion EXO 510 Air Frame. This year SCORPION offers you a sensational new helmet: It is derived from the real « success story » that was the EXO-500 … For nearly 5 years the over-equipped EXO-500 AIR of SCORPION’s range went with you everywhere. We now are excited to introduce the new EXO-510 AIR. The aggressive and high octane look will amaze you, it embodies the best of all the technologies like: the KwikWick® II liner, the AirFit® system, a visor equipped with a Lens Pinlock MAXVISION ® as standard and the Speedview® sunvisor treated with our anti- fog technology, the helmet has a real efficient aerodynamic system (for optimum ventilation). 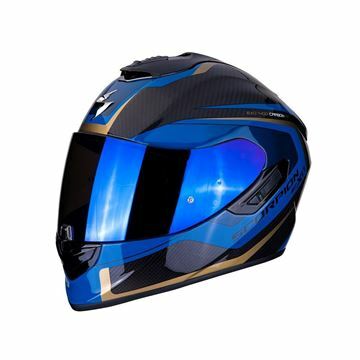 Perfect for daily users as well as seasonal ones and the adventurers, the EXO-510 AIR is the best quality and has the most features in a helmet you can buy for the money ! Scorpion EXO 510 Air. This year SCORPION offers you a sensational new helmet: It is derived from the real « success story » that was the EXO-500 … For nearly 5 years the over-equipped EXO-500 AIR of SCORPION’s range went with you everywhere. We now are excited to introduce the new EXO-510 AIR. The aggressive and high octane look will amaze you, it embodies the best of all the technologies like: the KwikWick® II liner, the AirFit® system, a visor equipped with a Lens Pinlock MAXVISION ® as standard and the Speedview® sunvisor treated with our anti- fog technology, the helmet has a real efficient aerodynamic system (for optimum ventilation). 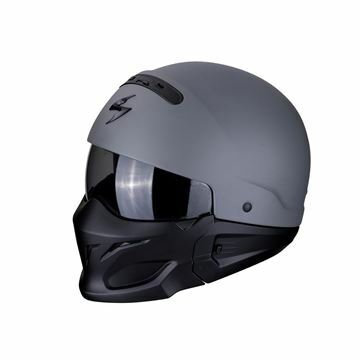 Perfect for daily users as well as seasonal ones and the adventurers, the EXO-510 AIR is the best quality and has the most features in a helmet you can buy for the money !